I have a serious obsession with organizing. I have completely redone my family binder, my filing drawer and I am currently working on my desk. 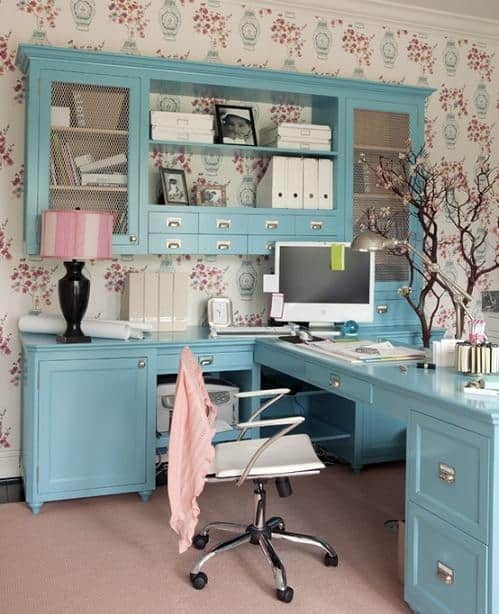 Now ideally I would love to own the whole Martha Stewart home office collection because well it's cute and functional. But when I started jotting down everything that I wanted for my desk and making marks on the prices I realized how ridiculously expensive it would be. I only work part time and attend school full time so buying everything that I want at once is not going to happen which makes me sad in a way. So....... onto my new assignment. Looking long and hard for a more inexpensive option. I do like some of the See Jane Work collection at Office Depot and it's not as expensive but almost, it may just end up being my second solution till I am satisfied. 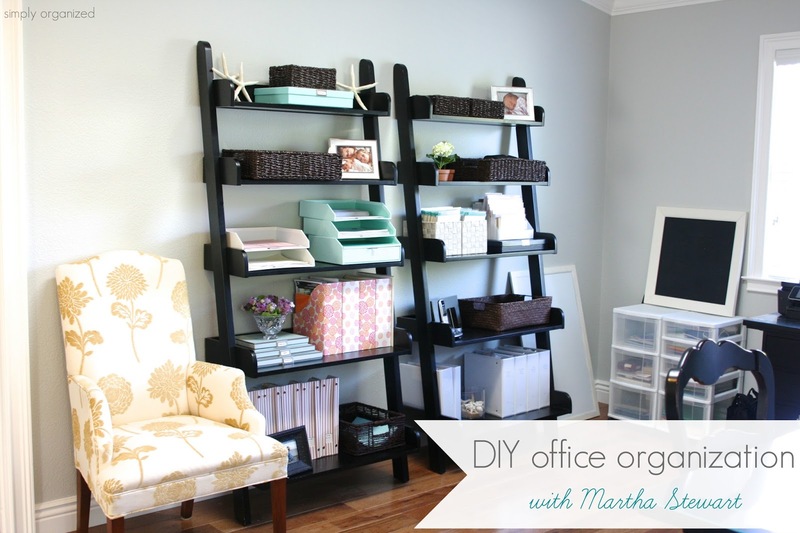 I have been doing a lot of brainstorming though and jotting down prices for things that I want to incorporate into my "office" space. Really it's just a desk, I have no actual separate office so that's why I want to be really satisfied before I put money into something that I am not happy with. 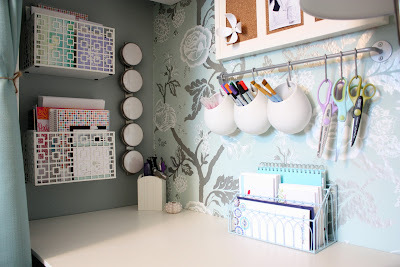 I have been endlessly browsing Pinterest and Google for home office organizing solutions and becoming so envious at all the awesome pictures. I just wanted to share some of my favorites.